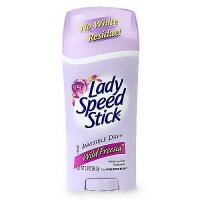 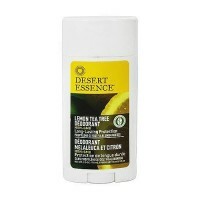 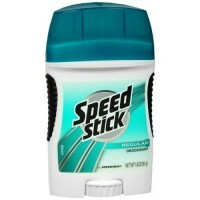 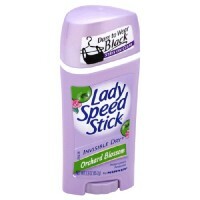 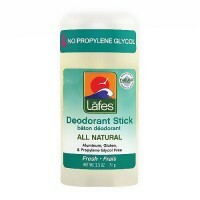 Lady Speed Stick Antiperspirant Deodorant provides Invisible Dry for great fragrance with 24 hour protection. 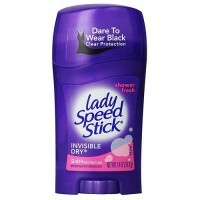 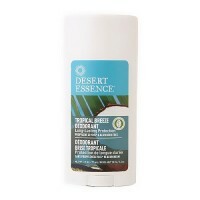 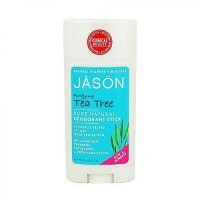 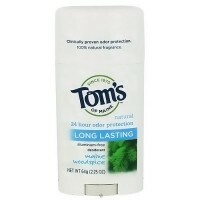 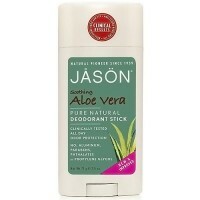 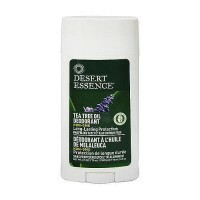 Invisible Dry for great fragrance with 24 hour protection. 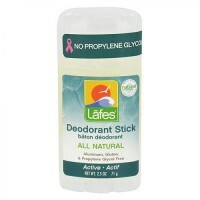 Gentle comfort edge applicator designed for a woman's underarm. 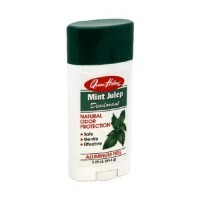 Extra effective protection lasts all day. 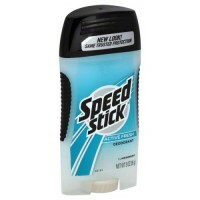 Aluminum Zirconium Tetrachlorohydrex Gly (16. 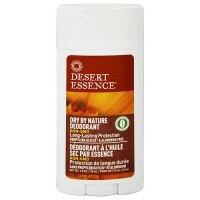 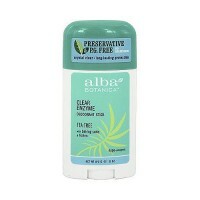 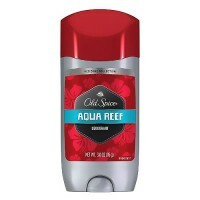 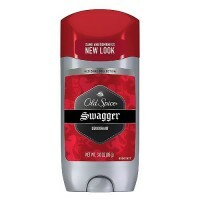 4%) (Antiperspirant). 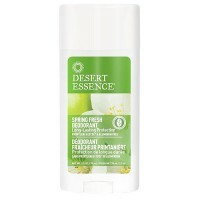 Cyclopentasiloxane, Stearyl Alcohol, PPG-14 Butyl Ether, Phenyl Trimethicone, Hydrogenated Castor Oil, PEG-8 Distearate, Fragrance, Corn Starch, Polysaccharides. 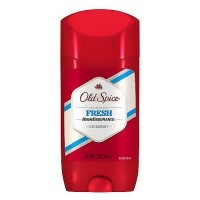 Apply to underarms only. 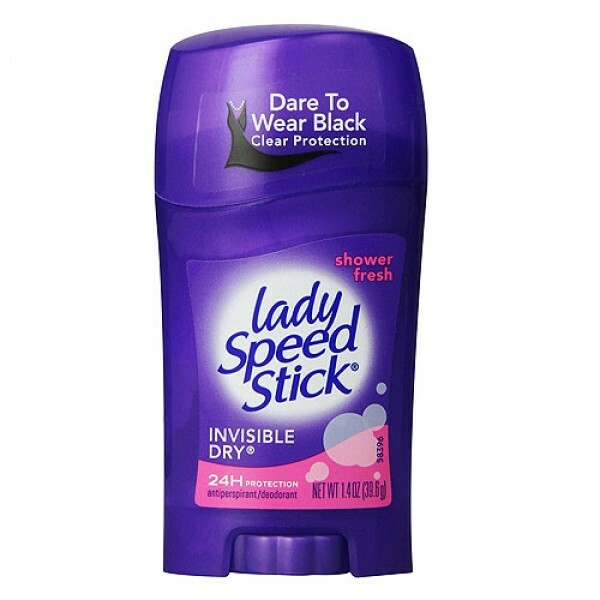 Turn dial to raise product. 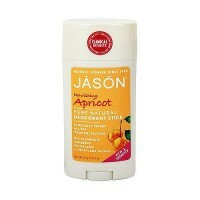 Apply thin, even layer to underarms. 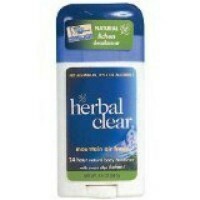 Stop use if rash or irritation develops.